This year New Hampshire Motor Speedway brought all kinds of weather to Formula Hybrid—wintery cold, spring rain, summer heat, and today some thunderstorms! Hytech Racing got on the track after lunch and after passing a rain test and was able to complete over 20 laps. Lawrence Tech also got some track time although they were ineligible to earn points. Endurance is the most challenging of the dynamic events where the cars must prove their durability over a distance of 44 kilometers which includes two climbs per lap totaling more than 72 feet. All vehicles begin with fully charged accumulators (batteries or capacitors). Hybrids are given an additional allocation of liquid fuel so that all hybrid vehicles start with the same amount of energy. Electric-only vehicles must complete Endurance with the energy contained in their accumulators. 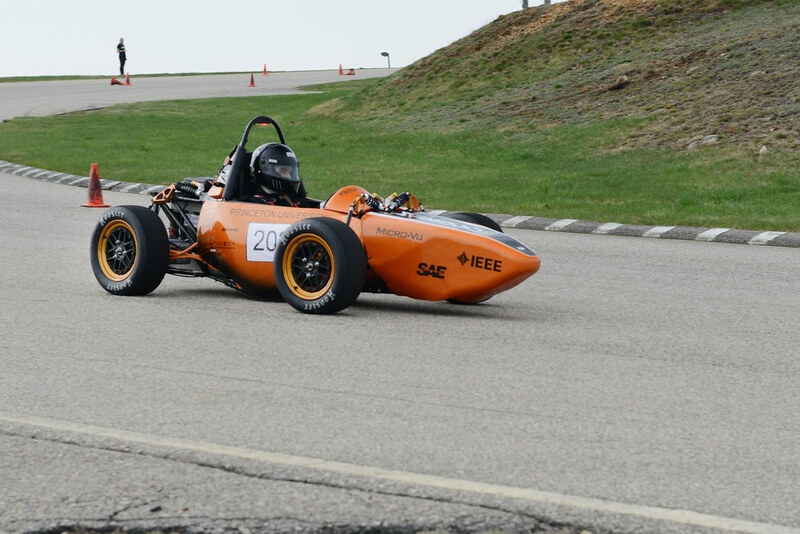 Dartmouth Formula Racing was the only team this year to complete all 44 laps of the Endurance Event and also came in first in the hybrid category for Design, Acceleration, and Autocross. 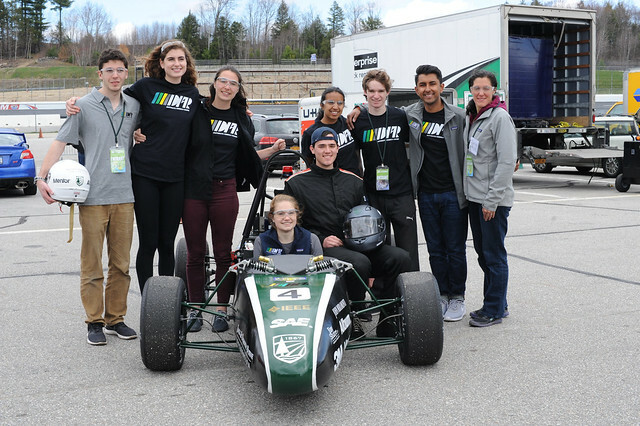 It’s the first time Dartmouth has ever completed all events at Formula Hybrid! Ashwa Racing (RV College of Engineering) was very excited to finish a total of 41 laps in Endurance! Blue skies and surprisingly hot temps at New Hampshire Motor Speedway today, but teams kept their cool as they worked diligently to get their cars ready for the track. Winners of the Project Management competition were RIT Hot Wheelz for the hybrid category and Hytech Racing for electric-only. Design competition finalists were Ashwa Racing & Dartmouth Formula Racing for hybrid and Hytech Racing & UVM AERO for electric-only. 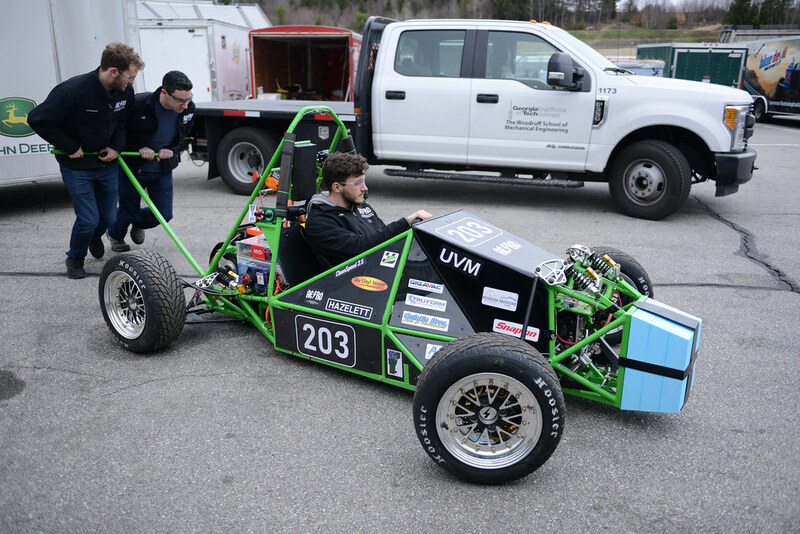 Teams that passed all mechanical & electrical inspections are: Ashwa Racing; Dartmouth Formula Racing; Michigan Hybrid Racing; Princeton Racing Electric; UVM AERO; and HyTech Racing. Stay tuned tomorrow for results of the Acceleration and Autocross events. And check our Flickr album for new photos!